Best 5 Cricket Batting Pads in Year 2017 | Khelmart.org | It's all about Sports. Batting Pads or Batting Leg guards are very important for cricket players as its help in avoiding injuries and provide a safe platform to player so that they can play and focus on Game only. 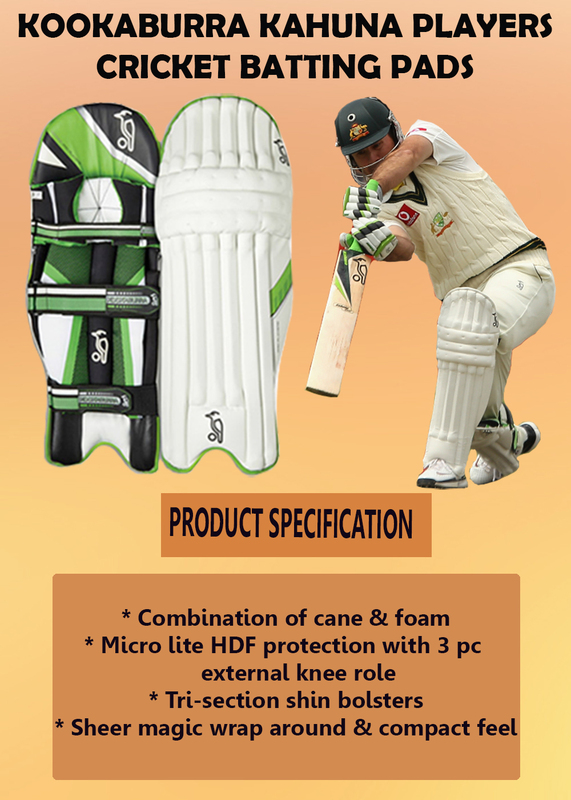 Cricket Batting pads cover and protect the leg area of players. Batting Leg Guards should be in light weight in nature. It should cover and protect the Legs of Player properly. 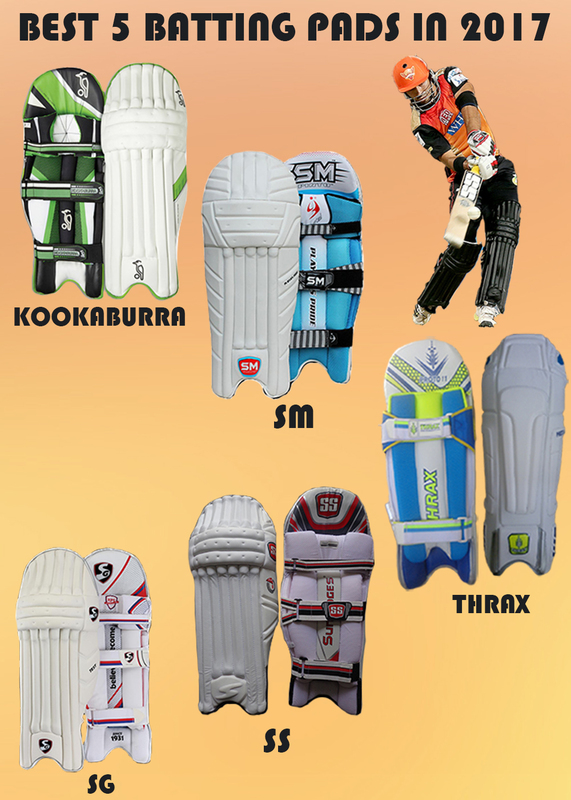 Kookaburra Kahuna Players Pads are designed for professional Cricket Players, It’s a light weight but durable batting pads which will give good performance to cricket players. Made from high density fiber and Glass fiber, Kahuna player will give you very light weight pads performance. It is a traditional look cricket batting pad which is made of High density Foam to give you super protection. Upper material is PU which gives durable performance. It’s a 3 staps pad which is designed for pro players. 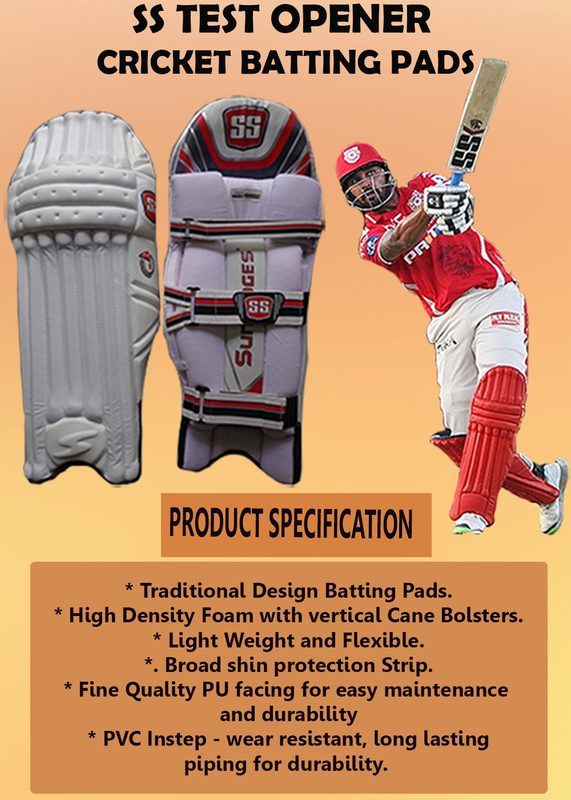 SG test batting pads are designed for all round type of players. These types of pads are suitable for player who wants traditional look bat with SG brand. Made from PU leather and High density from, SG test is a good option for professional to intermediate cricket players. SS Test Opener is all time big hit models in complete SS Leg Gourds range. With Innovative material technology and traditional pad shape. This pad is made from high quality PU material at upper while high density and durable from provide perfect combination of lightweight pads and durability. Thrax Proto 11 Moulded Cricket Batting Pads is suitable for professional level players. 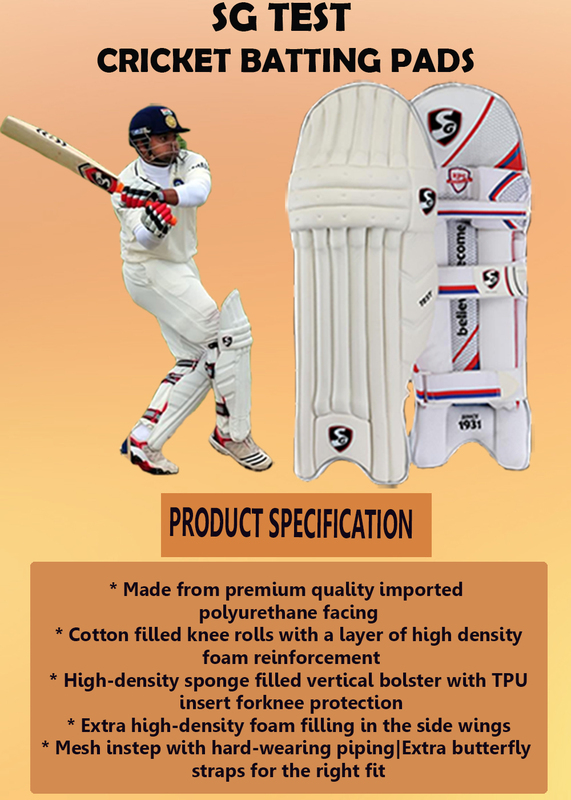 These Cricket Batting Pads is made from top quality material which will provide you perfect fitting and excellent performance and it is light in weight. 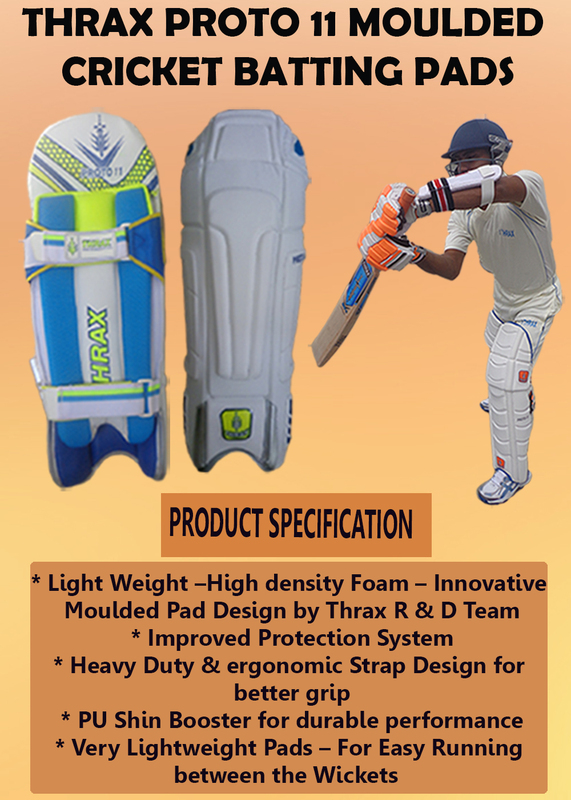 Thrax Proto 11 Moulded Cricket Batting Pads is made from PU in upper material which will provide you better stability and innovative pad design which is molded pad which will provide you long lasting durability. This entry was posted in Cricket and tagged Best 5 Cricket Batting Pads in Year 2017, Images of Best 5 Cricket Batting Pads in Year 2017, Specification of Best 5 Cricket Batting Pads in Year 2017. Bookmark the permalink.